TD Tyres has, in a relatively brief period of time, become one of the industry’s most well known names in tyre supply. It has done so by developing its offering to provide an extensive range, delivering products aimed at fulfilling any operator’s needs. The company’s goal is to offer a ‘good tyre at a good price’, according to Adam Fletcher, who heads the business from its headquarters in Malvern, Worcestershire. 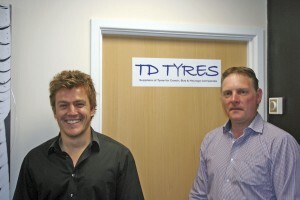 Chris Peat met Adam to get an insight into the tyre specialist’s operation. When outlining what TD Tyres stocks, Adam described three broad product categories: budget, mid-range and premium. In the budget range are such brands as Torque and Goodride. 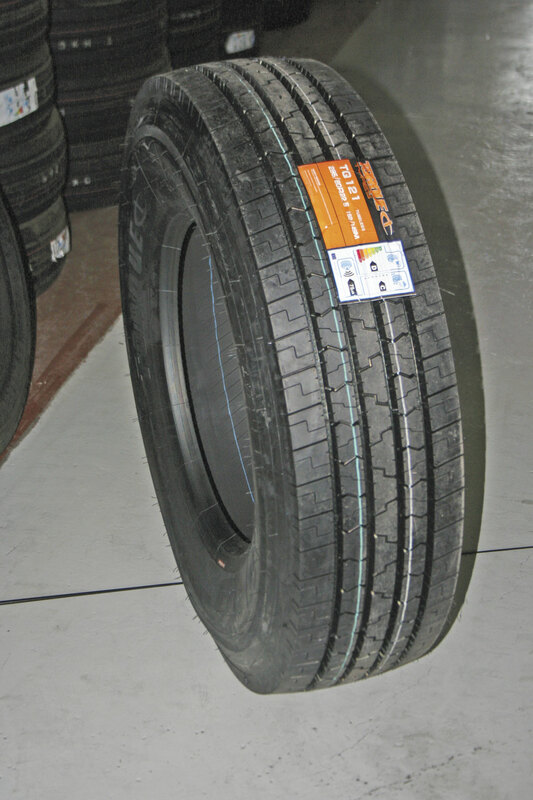 One of its best selling mid-range products is Falken, which Adam described as a ‘fabulous tyre, it does a good job’. The Premium range consists of Continental, UniRoyal and Bridgestone. These are not the only brands it provides, just a taster. If a make is not listed on its website or catalogues, then the company will happily source them in line with customer requirements. Until about three or four years ago, the budget range was the dominant seller. Those that have tried these tyres say they have ‘done a fabulous job’, according to Adam. However, in the past 12 months the mid-range products and the UniRoyals have taken off, representing an increasing percentage of its sales figures. Rather than making up the majority of sales, the budget range currently makes up around 50% of its business. Adam described it as a ‘big change’. He attributes the shift to improvements in the economy in more recent years. He said that once a customer goes for the mid-range tyres, they tend to ‘stick with them’. He said the Falken brand has ‘really picked us up’, improving business for the company. TD Tyres uses its contacts and knowledge of the tyre market to source the correct product, aiming to provide whatever the customer wants. This means that if a client requests any obscure make, or ‘oddball stuff’ as Adam put it, the company is able to seek it out. ‘If it is not in stock, then we will look for it for you,’ he said. Anyone ordering tyres can expect to benefit from a next day delivery service to all parts of the country. It all goes out in G-Force or Palletline courier vehicles. Products are sent out across the country, with ‘customers in every county’ according to Adam. Adam said, ‘We only work with tyres that will perform. Price is key for us. We want to offer good quality at the right money.’ The company keeps mainly budget tyres on stock, with plenty of mid-range brands in store alongside lesser holdings of premium products. ‘The most popular brands and sizes are always in stock,’ he said. If it is not in stock or available immediately from source, then he can have it within days. Through experience he knows what tyres he needs, aiding him stock accordingly. Adam’s experience comes from 25 years in the tyre industry, having worked in the sector prior to forming TD Tyres. The company was established nine years ago, when Adam noticed a gap in the market for a specialist tyre supply service for bus and coach operators. In the early days, he described it as being ‘quite easy’ to set up. He loaded his van up with tyres, travelled round various operators and sold. You may well remember him visiting. ‘We grew from there,’ he said. 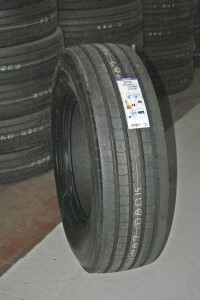 Growth came with the addition of various tyre brands to his offerings. It wasn’t long until he started to become recognised in the industry, with people increasingly approving and using his service. He believes it is a good business model for tyre manufacturers too, who largely prefer to supply in bulk rather than fitting one or two, here and there. One of the latest developments is a move into supplying truck tyres. However, this is only intended as an aside to PSV provision, ‘another string to our bow’, explained Adam. The business from this sector is aimed at bolstering sales in the relatively quiet periods of August, January and February. The company remains focused on the bus and coach market, which makes up the vast bulk of its sales. How has he achieved so many customers? One of the ways Adam has raised the company’s profile is by displaying at the CV Show and the annual NEC bus and coach show. The exhibitions are for ‘presence’, he says, they give him a chance to meet his customers in person, to ‘put a face to a name’. Despite this investment, a lot of his business comes from word of mouth, which he claims is not surprising as he is often on the phone to customers. ‘The website is a good marketing tool too’, said Adam. It often details the company’s latest special offers. It largely falls to personal preferences when it comes to tyre choice, according to Adam. 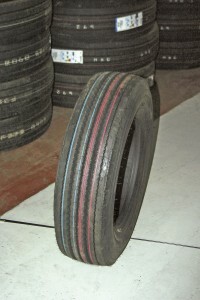 Those that run low mileage operations use budget tyres the most, he claims. Operators that run vehicles abroad often have to go for the higher specification tyres to meet foreign countries’ regulations, such as mud and snow markings. Adam has noticed one factor behind his customer’s choice of tyres recently is the pressure local councils are being put under to save funds, which affect the price of transport contracts. These costs are therefore passed onto operators, meaning they also need to reduce operating prices, leading to budget tyres being specified. Adam is still seeking more growth; aiming to be bigger and better, though he assures customers he will still keep business personal, ‘they will not be phoning into a call centre any time soon’. ‘I’ve got customers I speak to that I’ve had since day one and they still speak to me. They will ring me directly. That’s not going to change,’ he said.